Tavern on the Green Closes its Doors: So What’s in a Name? It’s New Year’s Eve, and for many (including your humble blogger), that means eating a delicious (and perhaps extravagent) meal with friends or family. 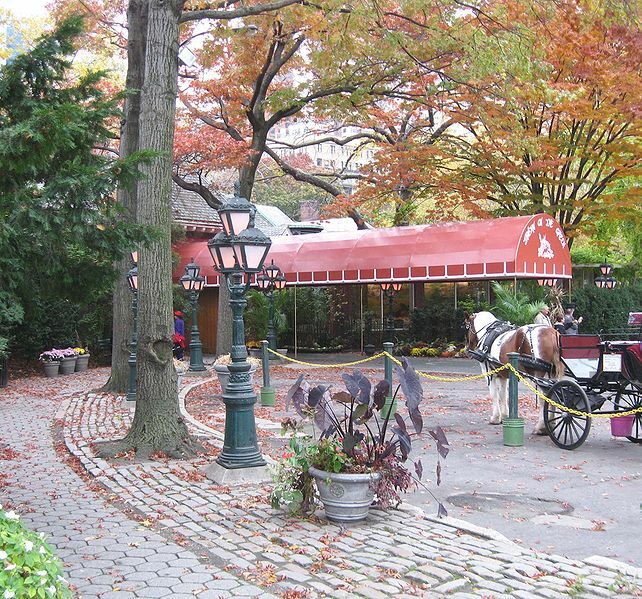 In New York, there’s probably no more coveted table than one at the famed Tavern on the Green in Central Park. Established in 1934, Tavern on the Green has long been a restaurant frequented by prominent celebrities, politicians, and other luminaries. In recent years, it has been among the highest grossing restaurants in the nation. After tonight’s New Year’s Dinner, however, Tavern on the Green will be closing its doors. Tough economic times and fierce competition in the New York City restaurant scence likely led to the restaurant’s demise. The restaurant’s owners, the LeRoy family, are seeking protection from creditors in bankruptcy court. Tavern on the Green lost its license with the city this summer, and city officials have decided to give the contract to another restaurant. So when the LeRoy family moves out of the Central Park location, what happens to the name? There is quite clearly a great deal of brand equity in a restaurant as famous as Tavern on the Green. But do the LeRoys have a valid claim to the name? As a basic rule, trademark rights hinge on distinctiveness. If a “mark” (meaning any name, word, phrase, logo, device, colors, etc.) is capable of distinguishing one’s goods and/or services from those of another, then the proposed mark has met one of the threshold tests for becoming a valid trademark. At first glance, use of a name such as “Tavern on the Green” in connection with restaurant services for a period of 75 years seems to be enough to establish distinctiveness. So aren’t the LeRoys well on their way to establishing their rights to the name? It may not be that simple. After all, “tavern” is a descriptive word for, well, taverns. And “on the green” refers to the restaurant’s location in Central Park. Meanwhile, the parties are fighting over what is seen as the restaurant’s most valuable asset: its name. The city has sued Tavern, as well as LeRoy Adventures Inc., an operating concern, in federal court in Manhattan, hoping to stop the family from using the restaurant’s moniker in future ventures. Tavern has countersued, saying that Mr. LeRoy trademarked the name, which is now appraised at $19 million. City officials say if that was done, it was done so illegally and that the restaurant space, created in Central Park by legendary parks commissioner Robert Moses, was called Tavern on the Green as far back as the 1930s. Hat tip to Marty Schwimmer at the Trademark Blog, who flagged this issue back in October and provided some interesting thoughts and links regarding sovereign immunity and eminent domain-style power as they relate to this trademark dispute. In the meantime, trademark law will be the last thing on the minds of those present at the restaurant tonight, as they raise their glasses to the life a culinary icon.